This is the 33rd in a series of posts on the Fujifilm GFX-50S. The series starts here. First of all, a word of explanation for numbers you’ve probably never seen before. Yes, you are reading the curves right. 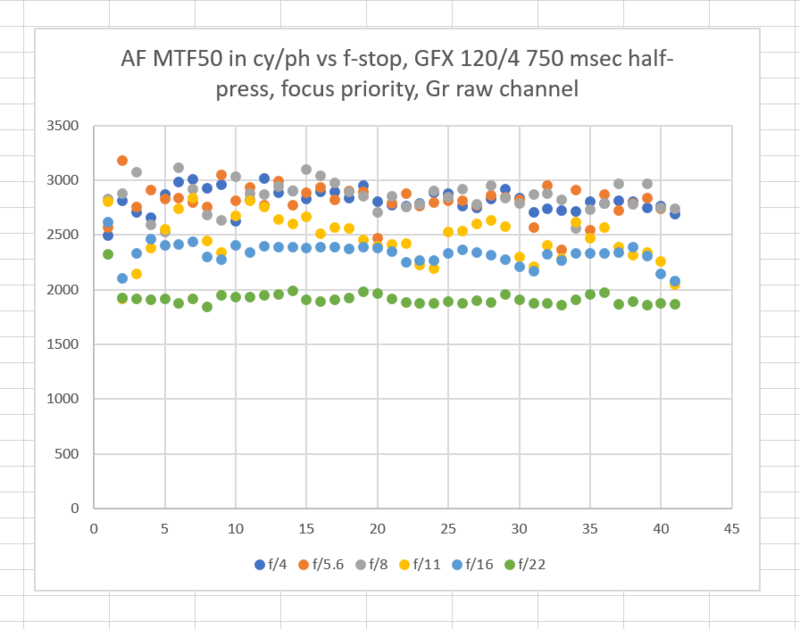 At f/4 through f/8, the MTF50 (shown in cycles per picture height) of this lens is beyond the Nyquist frequency of the sensor! That’s because we are using Lightroom’s default sharpening. With no sharpening, that wouldn’t happen. Second, we see the same kind of anomolous behavior when the lens is stopped down a bit. 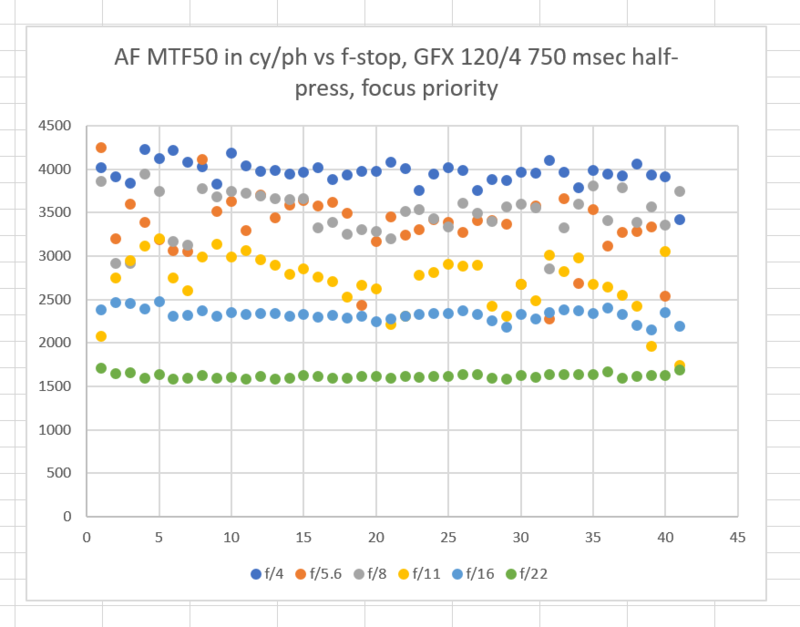 In this case, it looks like only f/5.6 is materially affected, but f/5.6 shouldn’t be lower than f/4 on average. 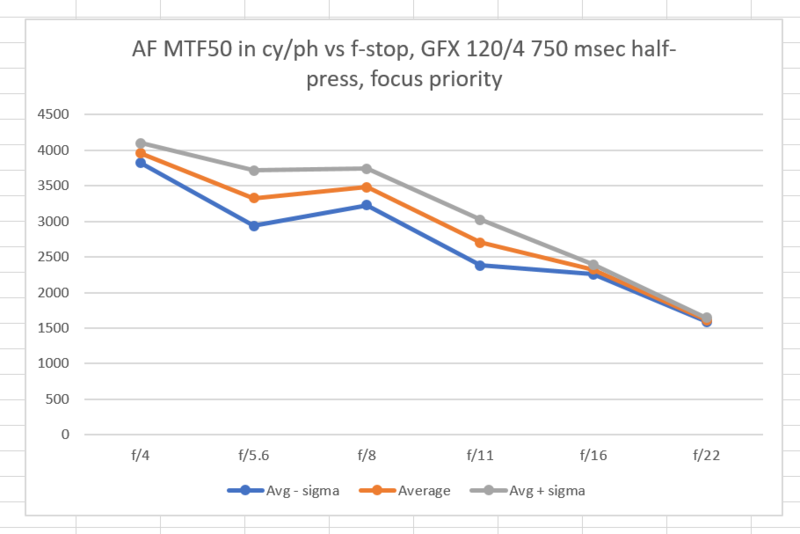 If we look at the raw data for the 41 exposures at each f-stop, you can see that something systemic seems to be affecting the f/5.6 results. With two exceptions, they are worse than the f/4 average results. I don’t know what’s going on in Lightroom to add noise to the results at f/5.6 and f/8. 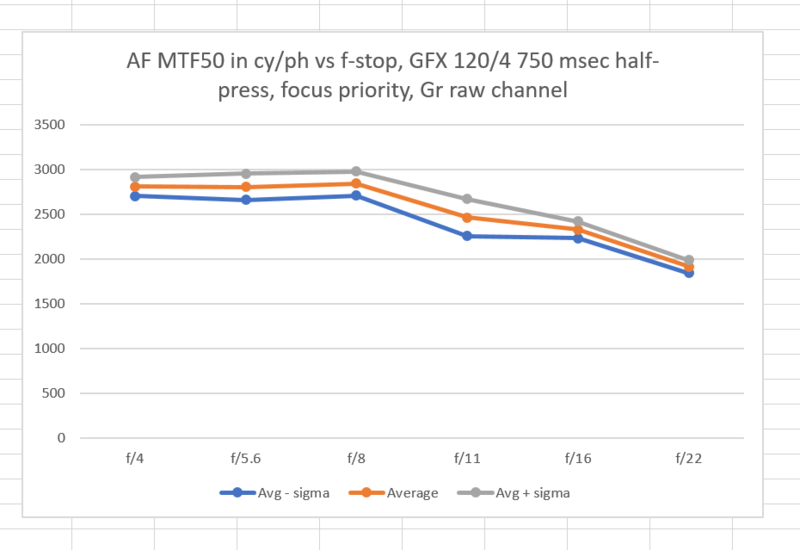 The reason the raw MTF50’s are lower is that Lightroom sharpens as it demosaics.